To order a copy from Amazon, please click here. The book is now on sale at the Turner Contemporary Shop, Margate. 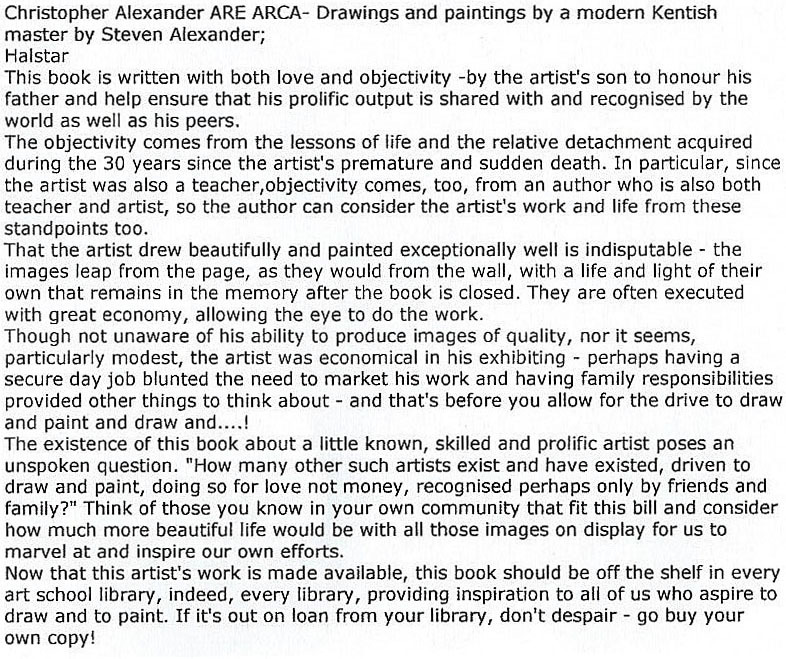 ‘This beautiful book is an affectionate tribute from an artist son to the memory of his artist father. 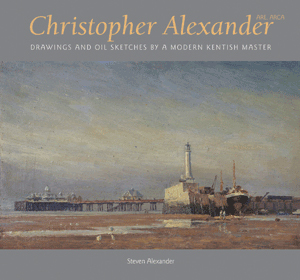 With a career spanning four decades until his premature death in 1982, Christopher Alexander was a rare kind of artist. Unaffiliated to any of the ‘isms’ of his day, he honed his natural gifts to the point at which he could confidently translate into art the joy he took in the world around him. A mastery of draughtsmanship forms the foundation of his craft, augmented by a sense of colour ranging from perfectly-pitched tonal studies to forays into higher keys that border on Fauvism. The result is a body of drawings and paintings that journey from calm magisterial deliberations to white-hot notations where everything is sacrificed to capture the moment. If you simply like superb art there is much to enjoy. If you aspire to creating it yourself this book will send you back to your easel with a renewed sense of purpose’.